Orange makes a trendy necktie color for any season of the year. 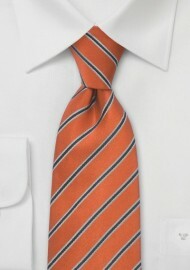 While bright orange ties can be perceived as too "flashy" this orange tie blends modern style with traditional elegance. 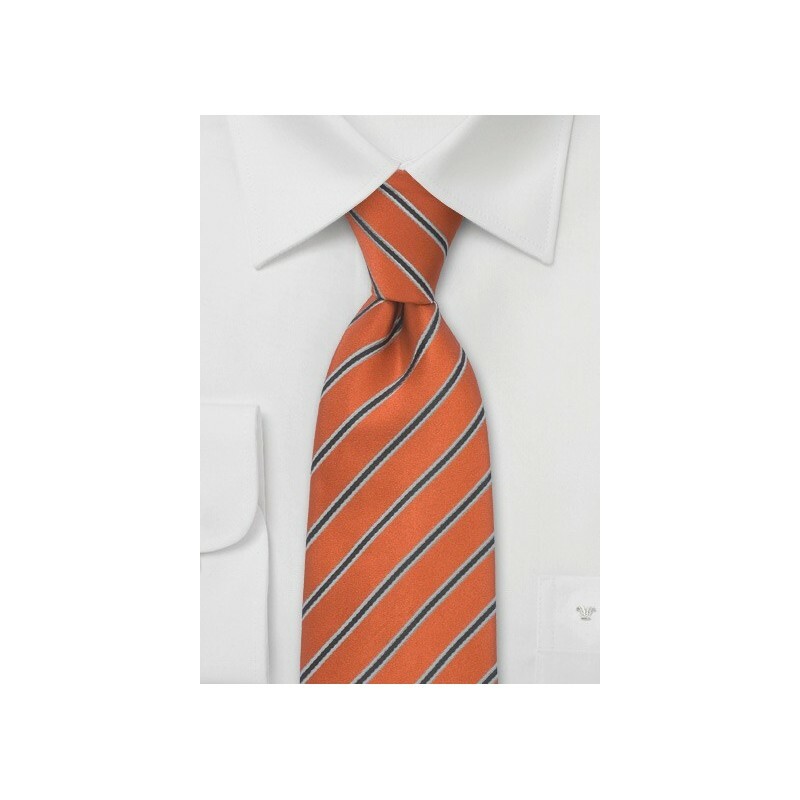 The narrow smoke-gray stripes on this tie add a modern touch that perfectly matches the trendy pumpkin orange color. It is a tie that looks best when worn on top of a white, light blue, or gray dress shirt. This tie is part of Parsley's recently released "modern stripe" collection. If you like the design pattern on this tie, then you may also want to look at this tie in the other ten color choices. Handmade from pure silk.